Last updated 25 September 2018 . By Olivia Cheves. The fourth outing from London’s range of small-plate-style in-house eateries, Peter Street Kitchen is a restaurant and bar serving up a range of contemporary Japanese and Mexican sharing dishes, alongside fine wines, sake and their signature cocktail selection. Taking over the location from Steak & Lobster, it's set to be a simple, luxurious and relaxed addition to the Manchester dining scene. Joining its London sister restaurants, May Fair Kitchen, Leicester Square Kitchen and Monmouth Kitchen, Peter Street Kitchen is changing the way you see fusion food. 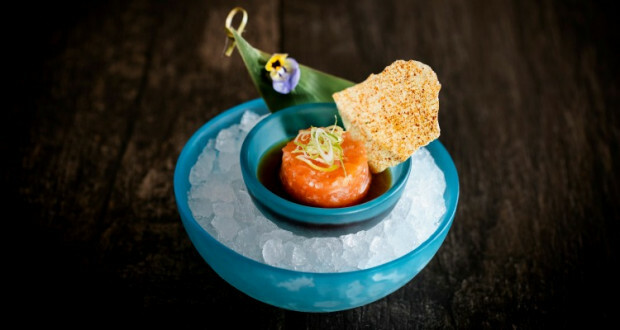 The smart restaurant will be creating thought-out and share-worthy dishes that mash Japanese and Mexican flavours together, great for pairing with their carefully curated drinks list.